Hydroponic gardening isn’t for everyone: the handiwork, plant nutritional knowledge, and electrical setup can be daunting to beginners. When I set out to create my very first hydroponic setup, I had essentially zero knowledge in any of those fields. Nonetheless, with a very small budget, I was able to establish a functioning hydroponic garden within a few days. It is in my nature to experiment when trying new things, and I generally sidle by guidelines or rules of thumb when experimenting, usually because of shallow pockets rather than mischief or lack of respect for established procedure. 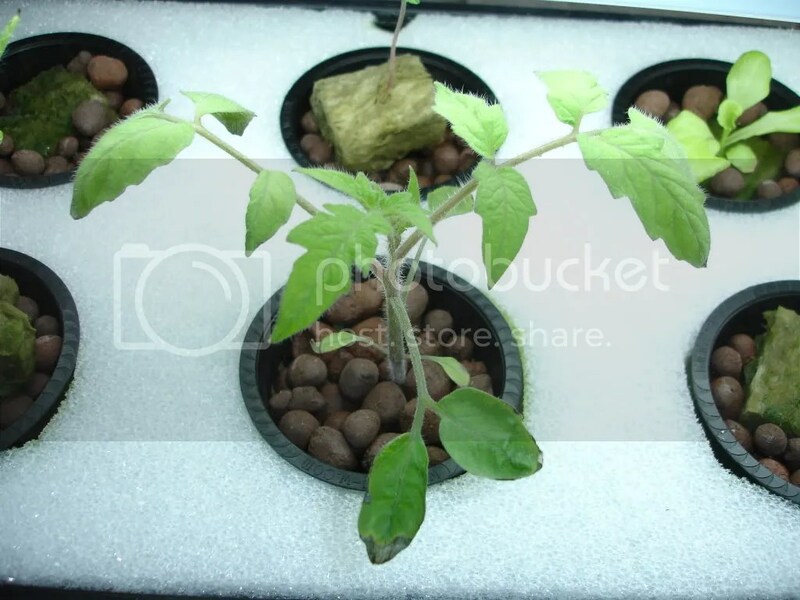 Most hydroponic setups include a HPS (high pressure sodium) or MH (metal halide) bulb (which both come under the category of HID, or high intensity discharge), which are expensive, hot, and require their own ballasts, in addition to a number of monetary necessities which were beyond my abilities to experiment with. So instead of spending several hundred dollars on a lighting system (and probably another hundred or two on the ventilation and air circulation), I cheaped out and purchased a four-foot T5 fluorescent light fixture and hung it from the ceiling, just as any self-respecting experimenter on a low budget would do. Actually, lighting systems aren’t strictly necessary for growing vegetables hydroponically. In fact, the only reason HPS or other HID lamps would be used is when in areas receiving little or no sunlight (see: nuclear fall-out shelter), or for plants requiring an artificial environment simulated in a sealed-off room. In reality, the most efficient lighting system is free and natural – the sun. The sun emits about 10,000 lumens per square foot, whereas a 200 watt HPS lamp emits a maximum total of about 20,000 lumens, which would need to be distributed evenly over at least four meters², resulting in under 50% efficiency when compared to the sun (assuming you’re using only 4m², which is very little space for a garden). In addition, HPS lamps emit only ‘warm’ light, which is suitable mainly for flowering plants, or producing fruit – not vegetative growth. MH lamps emit slightly fewer total lumens per watt, but emit ‘cold’ light, good for vegetative growth (but requiring more electricity to power). In comparison, a desktop computer requires about 200 watts to power for an hour. This number might not seem high, but when running for at least 12 hours a day, for several months, in addition to any electricity needed to power cooling systems (HID lamps get very hot, very fast) and hydroponic pumps, the watts pile up quickly. Returning to the point of using sunlight with hydroponics: in greenhouses, plants receive all the lighting they need without artificial humidity, and any hardware used is safe from the elements. One of the less common forms of hydroponics is aquaponics, and is discussed briefly in the video above. 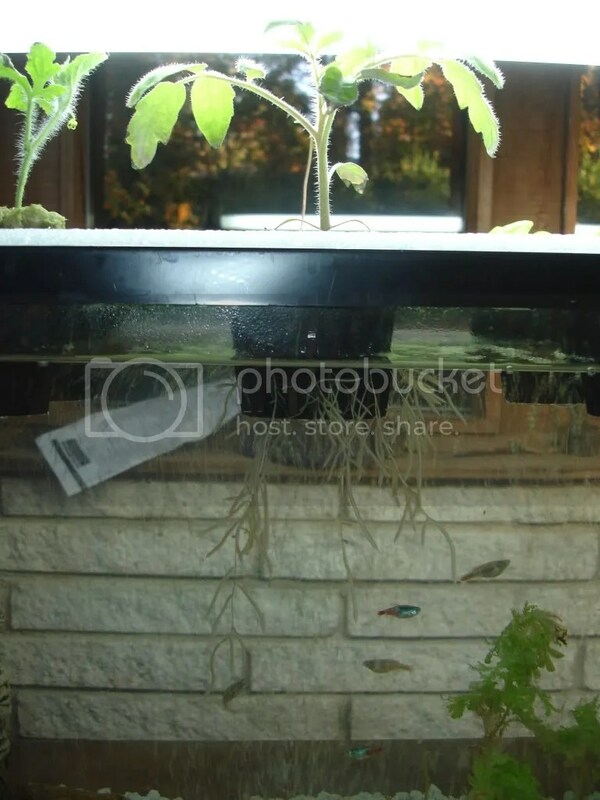 My experimental hydroponic system was based around aquaponics, although the fish were ornamental rather than aquacultured. The materials used (not including the tank itself) cost under $50, with the bulk of this being for the lighting. I grew lettuce which we consumed, although the main purpose of the experiment was to demonstrate the system’s functionality. I also had tomato and watermelon plants growing, which could have matured and fruited if they had the space and light. While most people prefer to stick with conventional gardening, finding the space to do so in urban environments is difficult, and it ends up being inefficient anyway. The entrepreneurial possibilities in starting urban hydroponic farms are endless, as is being demonstrated throughout the world today. In addition to providing locally grown fresh fruits and vegetables (and thereby reducing a city’s carbon footprint and/or health), hydroponic farms would employ and educate enough people to be considered a social service.